Common-Basic-T ist ein Produkt des Community-Labels MADE IN NEUKÖLLN: Jugendliche haben in Zusammenarbeit mit lokalen Mode- und Textilakteuren das perfekte Shirt kreiert, Langlebigkeit und optimale Passform machen es zu dem Shirt deines Lebens. Ressourcenschonung, biologische Rohstoffe, sozialverträgliche Produktion, solidarische Ökonomie - diesen Begriffen haucht das Common-Basic-T Leben ein. In schwarzer und weißer Ausführung erhältlich erinnert lediglich ein Nackenband innen mit der Aufschrift "Made in Neukölln" an den Produktionsstandort, dem man das gute Gefühl beim Tragen zu verdanken hat. Das ökologisch reine Shirt eignet sich hervorragend zum Besticken, Bedrucken und Veredeln. In seinem reinen Ursprung belassen stellt es ein Sammlerstück dar: Jedes Shirt bekommt eine Nummer, die sich aus der Produktion sowie der Auflage zusammen setzt, das Common Basic T wird zum Unikat. Das Shirt deines Lebens ist in der ersten Auflage nur 144 Mal erhältlich, pro Bestellung ist die Auslieferung auf je zwei Shirts begrenzt. Die Auslieferung der ersten 144 Shirts beginnt in der Woche vor der Fashion Week Berlin Anfang Juli 2011. Bestellen kann man das Common Basic T ab sofort unter order@commonbasic.com unter der Angabe der Größe und Farbe. Common-Basic-T is a product of the Berlin community label MADE IN NEUKÖLLN. In a collaboration with fashion & textile producers, young people created the perfect shirt. An optimum fit and longevity makes it the shirt of your life. Conservation and usage of natural resources, socially responsible production, solidarity-based economy - with the Common Basic T there is life in these terms. Available in a black and a white version, only a neck band on the inside with the phrase "Made in Neukölln" reminds on the production of the shirt, which is the basement of the good feeling while wearing. The ecologically clean shirt is an ideal basement for embroidering, printing and finishing. 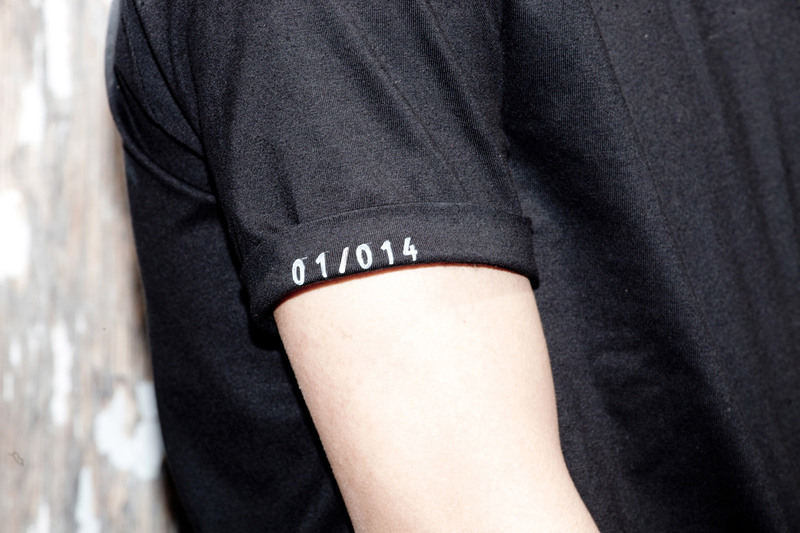 Left in its pure source, it is a collectors' item: Each shirt has a number, which consists of the circulation of the production, the Common Basic T becomes unique. The shirt of your life is in the first edition only 144 times available, each order is limited on two shirts. The delivery of the first 144 shirts will take place in the week before Fashion Week Berlin in early July 2011. Get your Common Basic T now by mail-order at order@commonbasic.com by sending your preferred color and size. Die ersten 10 Shirts in schwarzer und weißer Auflage wurden exklusiv von der Berliner Designerin Esther Perbandt gestaltet. Diese Special Edition wird auf einer Auktion versteigert – Weitere Informationen folgen in Kürze. The first 10 shirts in the black and white edition have been specially designed by the Berlin-based designer Esther Perbandt. This Special edition will be placed up for bid in an auction. Further informations coming soon.